Our challenge this week is to share the thing(s) we’d “rather be doing”. It’s an interesting thought isn’t it? Somehow it pushes us to examine what we love, and to make sure we’re spending our time – life’s most precious element – appropriately. 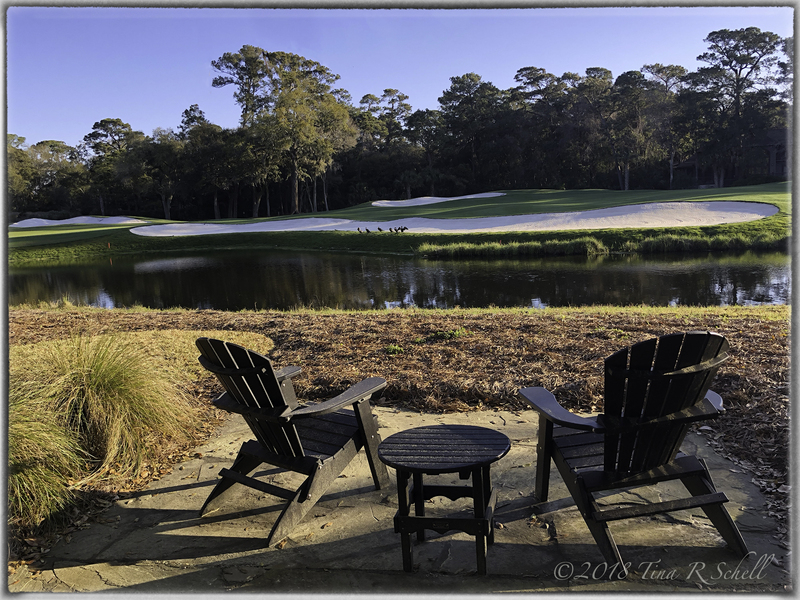 I’ve featured two of my favorite things, travel and golf, in my opening captures. I also love reading, writing, playing my piano, spending time with friends and family and of course, photography. Those who know me well know that I love games that challenge the brain – cards, sudoku, crosswords, trivia and most especially Mah Jongg. The capture above is from a game we happened upon when we were in China – where they take their MJ much more seriously 😀. Happily our weekly game is more about socializing than competition – although we do work hard for our quarters! 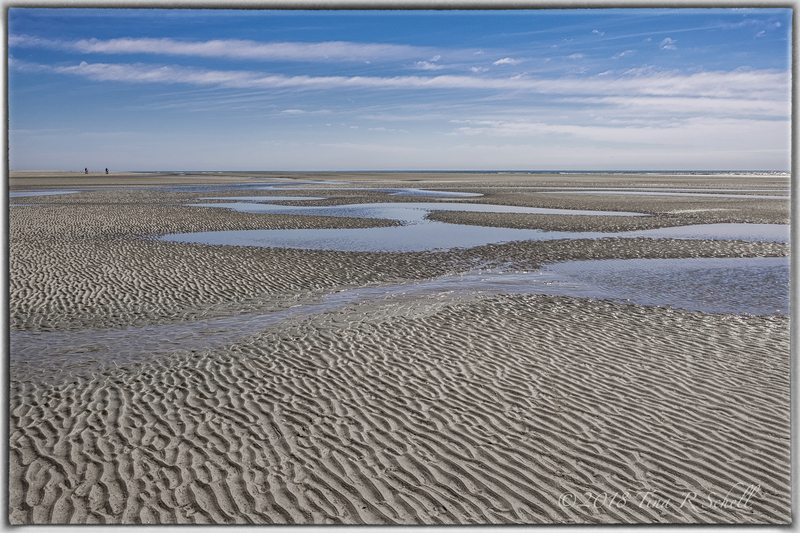 I love walking our beautiful beach here on Kiawah where there is always something new to see and to shoot. This week the tide pools were amazing as my husband and I strolled to the very end of our pristine island. Birds were pecking away at water’s edge and the sun shone beautifully as we enjoyed the return of spring’s warm breezes. Most of all, I love spending time relaxing at home with my husband of 20+ years. Sharing life with my best friend, whom I still love more every day, means there’s really nothing at all I’d rather be doing. And that is really saying something, isn’t it? By the way, it’s often noted that the best camera is the one you have with you. This week’s captures were made with a mix of my Nikon DSLRs, my Fuji X-T2 and my iPhone 8+. Can you guess which is which? This was a very special post, showing glimpses of what is special in your life! As always, the images are a balm to the eyes and the soul! Precious, precious images, Tina. A truly thought-provoking post, eloquent and beautiful. I have absolutely no clue about the camera. I have read every comment and my guess was also a false one. Could the rice fields be an iPhone shot?? Regarding lighter matters, chess, Scrabble and Rummikub – never played MJ. I think I should post a picture of a chess board taken with Nikon and call it Game of Games (hope you do not have copyright). LOL, feel free Abrie – I have not copyrighted 🙂 Love scrabble and rummikub but chess is not the game for me! Thanks very much Pauline but sorry, not the iPhone on that one. I shall post the answers in my response to next week’s photo challenge. Thanks Reinhold but nope, wrong. But you’re right, it really DOESN’T matter does it! Stay tuned for next week’s post for the answer to the puzzle! I love the golf ball shot, mostly because I don’t like golf, but that photo makes me re-think that, and how interesting is that? I love the rice fields!!! Thanks Nora – they were amazing! let’s see the MJ game was the iphone? and not sure about the rest – but that gold ball shot is OUTSTANDING! and sometimes when people write about their slice of heaven it feels a bit bragging – but none of that here- it was like pure sharing and just matter of factly…. or maybe that is because I know you – but i do hate he braggards. and nice take on the prompt…. Nope LOL! And the golf ball shot is one of the oldest I still have :-). Actually sold that one many times on a stock photo site “back in the day”. Thanks for the compliment re bragging, I was hoping not to come across that way. And NO – I NEVER wish I was up north!!!!! how cool that you sold that shot – I can see why! i will be back later to skim some other comments to see who guessed the cameras used… so curious now! No one got it right :-). Will include the answer in next week’s post. ok – see you then – -and it was a little tricky…. The best place – the “home sweet home” view. 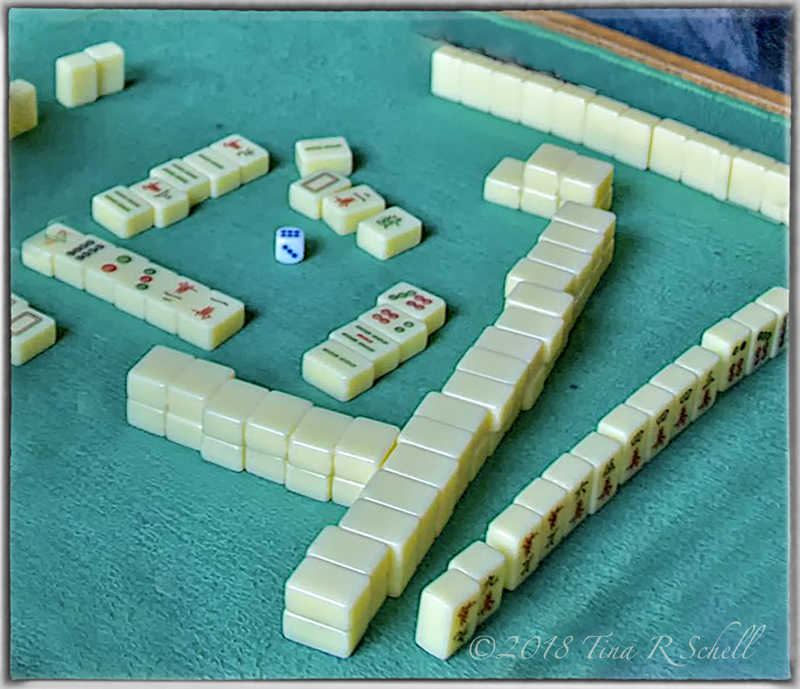 Mah Jongg, that’s a serious game … especially if it’s played for money. One of the relatives almost put up their home for casino credit while on a vacation through Macao, Hong Kong and Taiwan in the old days. The casino refused to take it as collateral. LOL, thank goodness David! We have a $5 limit – if you lose that much you play for free and can recoup your losses. U know what they say, everybody wins :-). A nice response to the challenge, very evocative! We could argue over who’s luckier………but no contest…….just ask our friends and family. I win. Oh and by the way the post isn’t too bad either. Beautiful post, Tina! Beautiful in both pictures and words. Your husband is a lucky man. Contentment, yes – seems so elusive but not difficult to achieve if one really wants it. I loved the pictures, Tina! Thanks Anita – glad this one spoke to you. All lovely shots and feelings. I especially like the simplicity of the tide pools – very soothing. Thanks Lex – the beach was about as pretty as I’ve ever seen it that day. Couldn’t resist the tide pools! Thank you Susan – two images from completely opposite sides of the world, but both speak to me of calm beauty. Glad they spoke to you too. Wonderful composition of the challenge and beautiful images Tina. Thanks Maverick – this one pretty much wrote itself! Best guess—golf ball – Fuji, rice fields – Nikon, MJ – Nikon, Tide pools – IPhone 8+, home hole – Fuji. Wonderful message! Hey there Kathy – nope but I will update the post with the answer soon. Many thanks Mabel, you’re right about the companionship but sadly wrong about the iPhone :-). I’ll post an update with the answers soon ! Hi T- You’ve certainly captured YOU. Love your tide pool image and the golf ball smack center is quite effective. Thanks Jane – the pools were lovely that afternoon – I was happy to have a camera with me. Both images and words are an excellent response to this challenge. Thank you Anne, I enjoyed this one. Well Judy – you’re closer than anyone else so far! Answer in my next post 🙂 Thanks as always for stopping by. Isn’t that all we need to seek? Ball: X-T2. 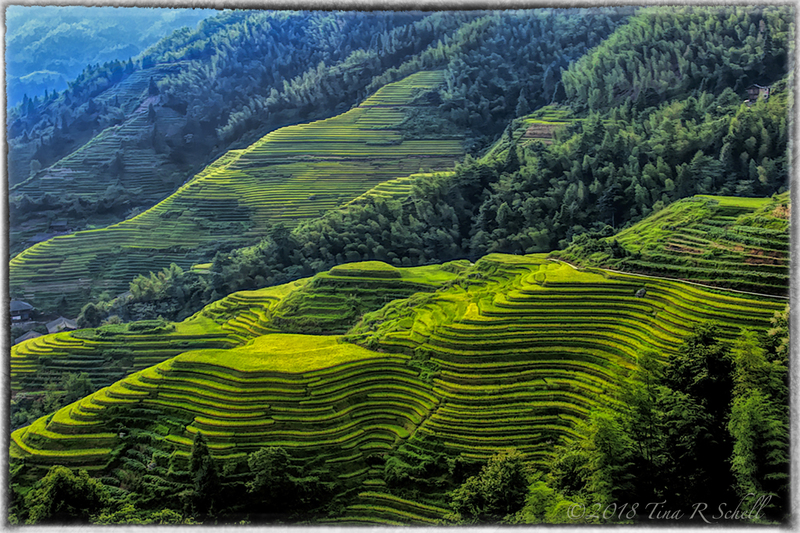 Rice fields: Nikon. Mah Jongg: iPhone. Tidepool: X-T2. Patio chairs: iPhone. I have better luck in Vegas. Love the photos and quotes. I’m with you on everything except golf. 🙂 In half a year, we’ll be celebrating 34 years, which is a true blessing. Have a wonderful week. Wow Janet – isn’t that fabulous?! A true blessing indeed. As for golf, what I love about it is the social time with my friends, or my husband, rather than the sport itself which can be quite frustrating!! Great post, Tina…contentment is so important…seems like you have things worked out. thanks Sue – some days it definitely feels that way. Others, not so much! You know how THAT goes!!! I MOST certainly do, Tina! Love them all – along with the quotes. We are so fortunate to live in this world, and in a part of it where we have food, roof over our heads and loved ones close. Pieces of beauty along the road too. Contentment. Many thanks Ann-Christine. Yes I often think about how the place where we’re born and the family we’re born into is truly a matter of chance. We are indeed very lucky we landed in the right places and in times of peace – so many others are not so fortunate. Yes – and Why Me? Fantastic photo’s, especially the tide pools! Thanks very much – they were fabulous that day. I was happy to have had a camera with me. Beautiful Tina! I had no idea you are a golfer! I used to play too but had to quit once my neck flared up. I love the sport and wish I could play as my whole family does. Thanks Nicole. Yes golf is very big here on Kiawah. Personally although I enjoy the sport it’s much more about the camaraderie with my girlfriends and sometimes with my husband. 4 or 5 hours on a beautiful day in a beautiful place – what could be better?! Bummer about your neck. For me it’s the back but so far I’m making it work! thanks Perpetua, walking on the beach is about the best place to look for whatever you seek, including yourself. Thanks very much Xenia, much appreciated! LOL, I suppose we could use some of it down here. We had one day last week that I’d call spitting rather than real rain. Here we have pollen from the oak trees which is a nasty yellow coating that covers everything until a good rain comes along. It also causes terrible allergies to many people including me! But I suppose it’s better than downpours. Nothing is perfect is it?! Yep, have often wondered if there is any place on earth w perfect weather. Couldn’t come up w one! Thanks Ann – I know you know where I’m coming from with this one! You said it all…… honoring all that you honor and hold so close to you heart.. Thank you girlfriend – much appreciated as always. Beautiful photographs. You are so fortunate to live somewhere with such beautiful scenery. May you always persue those “I would rather” dreams. Best ever ! Contentment is a gift that so few ever let themselves fully realize . 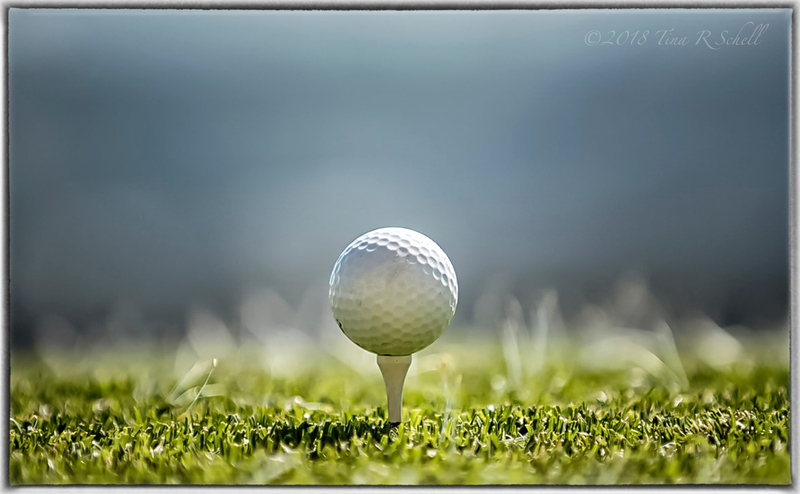 Of course amidst all the other gorgeous photos , I am partial to the golf ball one ….surprise surprise.